One of English Canada’s pioneering filmmakers, Don Owen, died at age 84 on February 21st. While Owen made his films mostly in Toronto and Montreal in the 1960s, ‘70s and 80s, he lived in Halifax for almost a decade after he finished his final feature, Turnabout, in 1988, which screened at that year’s Atlantic Film Festival. 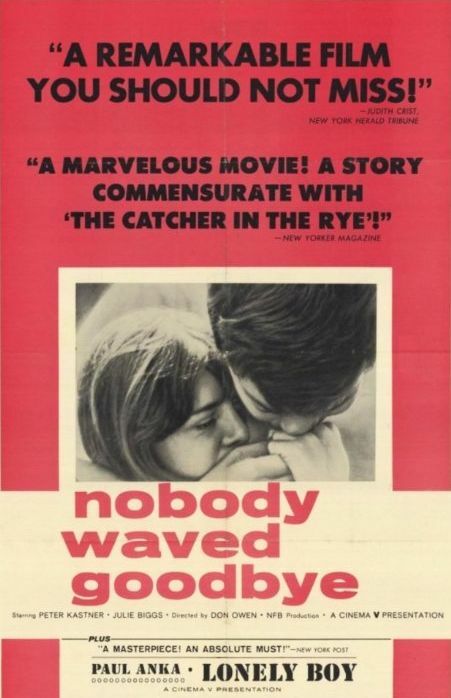 Nobody Waved Goodbye began as a conventional documentary about a youthful first offence. Owen related to me during a Nova Scotia College of Art and Design Film class that he took advantage of the NFB administrators being on summer vacation to shoot enough material for a full dramatic feature. 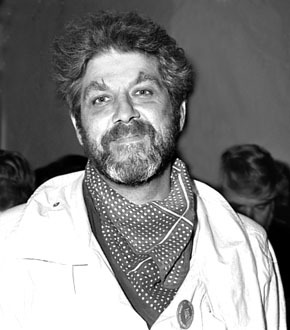 The resulting movie generated great reviews and word-of-mouth worldwide and launched Owen on a career of several more features and documentaries, many of which were quite daring and unconventional. Notes On a Film About Donna and Gail from 1966, for example, told its story of two young working class women in a self-conscious style where the narrator interacted directely with the characters. Owen’s last feature, Turnabout, was a ‘sort of’ sequel to ‘Donna and Gail. 1984’s Unfinished Business was a sequel of sorts to Nobody Waved Goodbye, picking up the story a generation later with lead actor Peter Kastner playing a father to a wayward teenage daughter, presumably the one he tried to abandon as a baby in the 1964 film. Kaster’s success in Nobody Waved Goodbye got him cast in in the lead role of Francis Ford Coppola’s premiere studio film You’re A Big Boy Now in 1966. The Toronto actor and children’s entertainer went on to star in the flop US TV series The Ugliest Girl In the World. True to 1960s unconventionality, Kaster played the girl. In 1967 Owen made The Ernie Game in Montreal with the charismatic Alexis Kanner in the lead in a French New Wave style film about youth culture and a young man who can’t make commitments. Amongst Owen’s documentaries were the 1966 skyscraper construction short High Steel and a portrait of the then new Buffalo Art Gallery from the late ‘60s. He co-directed the 1965 hour-long bio-doc Ladies And Gentlemen, Mr. Leonard Cohen with with his NFB associate Donald Brittain. Almost all of these National Film Board titles are available to view at no charge at the NFB website. Don Owen was a colourful character, generous with his opinions and time. His cinematic legacy, celebrated during his lifetime, will undoubtedly endure.